A 'Cookie' is a small amount of data generated by a website and saved by your web browser - its purpose is to remember information about you. Cookies are used by internet browsers to store and send important information and are vital during payment processing. If cookies are turned off, this can cause problems when completing transactions such as purchasing a domain name or renewing a subscription. 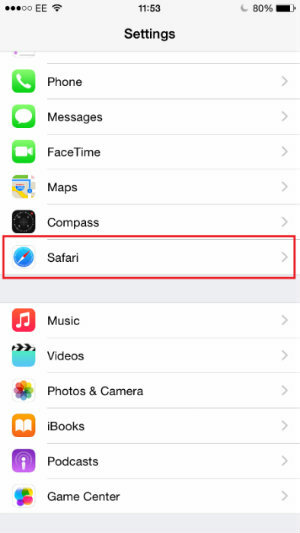 This guide will provide instructions for enabling cookies with “Safari” browser for web and for mobile iOS devices such as iPads and iPhones. 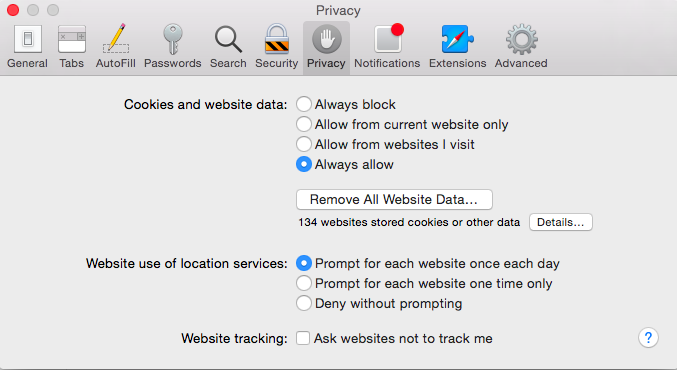 Click the "Safari" menu and choose "Preferences" and then "Privacy"
For Lion OS: Pick the option Never under the section labeled "Block Cookies"
Once this is set, you can browse as normal.